The concept and notation of functions is used throughout the fields of algebra, calculus, and statistics. Make sure your understanding of the subject is solid. A function is formally defined as a correspondence between a first set, called the domain and a second set, called the range, such that each member of the domain corresponds to exactly one member of the range. The domain is the set of all inputs for which the function returns a real number value. By convention, the domain is graphed on the horizontal axis. What does all this mean, exactly? It is helpful to think of a function as being graphed on paper. 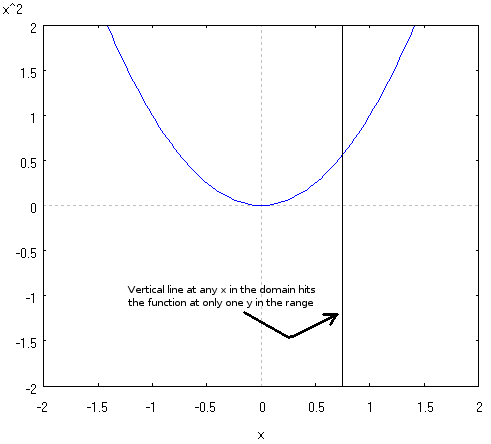 If you were to draw a vertical line through the graph, it would hit the graph of the function at only one point. Thus, the relation f(x) = x2 is a function because it passes the vertical line test. f(x) = cos(x2) is an example defining a function f of variable x.
P(F,i,n) = F / (1 + in) is the present value of a cash flow, a function of the variables for the future value, the interest rate, and the number of payments. Besides its use in math, functional notation is used in computer spreadsheets and forms the basis for all modern computer programming languages. Think of functions as a self-contained “black box”. You put values in, and get values out. The self-contained nature of functions allows us to perform many algebraic operations on whole functions. So where is the algebra and composition of functions useful? Lost of places, but the obvious application is in calculus. Using the composition rules, you can often break a composite function into simpler functions for which you know the differentiation or integration rules. In fact, the chain rule allows you to differentiate any composite function as long as you can differentiate the component functions. 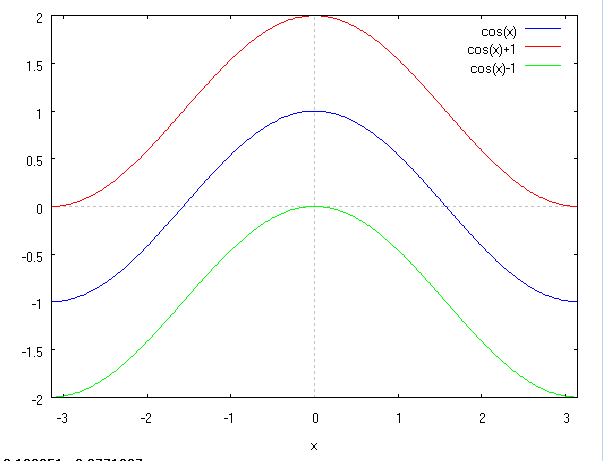 Very often, we need to either graph a function, or interpret a graph of a function. It can be quite useful to know how constants in the function change the position and shape of the graph. y = f(x) + b is the graph of y = f(x) shifted up by b units. y = f(x) – b is the graph of y = f(x) shifted down by b units. y = f(x – d) is the graph of y = f(x) shifted right by d units. y = f(x + d) is the graph of y = f(x) shifted left by d units. 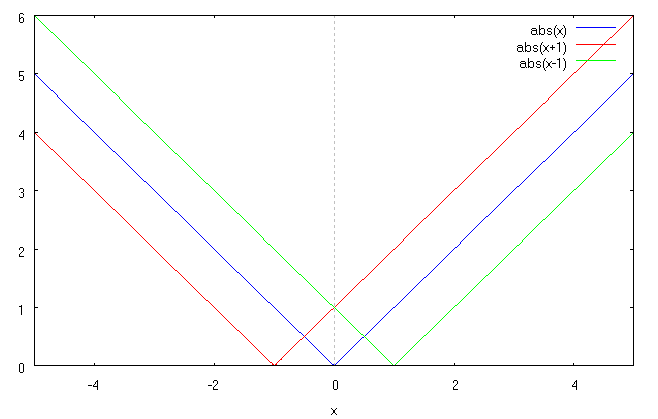 The graph of y = –f(x) is the reflection of y = f(x) across the x axis. The graph of y = f(-x) is the reflection of y = f(x) across the y axis.